The flow of employees leaving the organization and the necessity of finding and training suitable replacements is an important issue in the day-to-day management of organizations. However, the body of research empirically examining the exact effects of such employee flows on the performance of organizations remains relatively underdeveloped. This article aims to increase our understanding of this topic by unraveling the link between excess employee turnover—a concept incorporating both the entry and exit of employees—and the performance of US public sector organizations. The results indicate that a linear negative relationship between excess employee turnover and performance surfaces in a time-lagged manner. 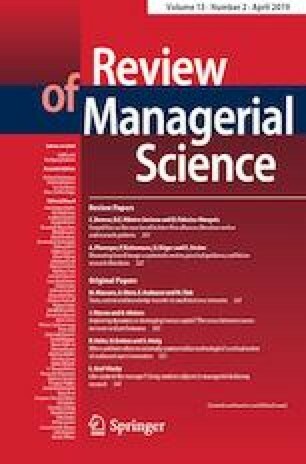 This finding first of all suggests that human resource management should continue to devote attention to turnover and employee retention, and secondly implies that researchers should specifically take into account potential medium to long-term effects when studying excess turnover. Evidence from the U.S. Federal Government.